Pharaoh refuses to let the Israelites go. Moses warns Pharaoh that God will punish Egypt, but Pharaoh continued being stubborn. This craft about the ten plagues of Egypt would be a great add-on to any Sunday School lesson. 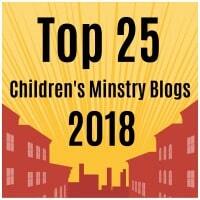 You can always use the craft to re-tell the Bible story after your kids are done making it. This craft will require some prep work. To make this craft easier to do you can use stickers for day 2-5 and 8. For day 9 you can use large googly eyes. And for the last day you can paint on a thin line of red paint across the number ten, then slightly tilt the number and allow the paint to slowly drip down the number. Cut out each image and trace it onto the colored construction paper of your choice. You do not have to exactly copy the numbers in the picture. Cut them out and glue them onto the designated number. 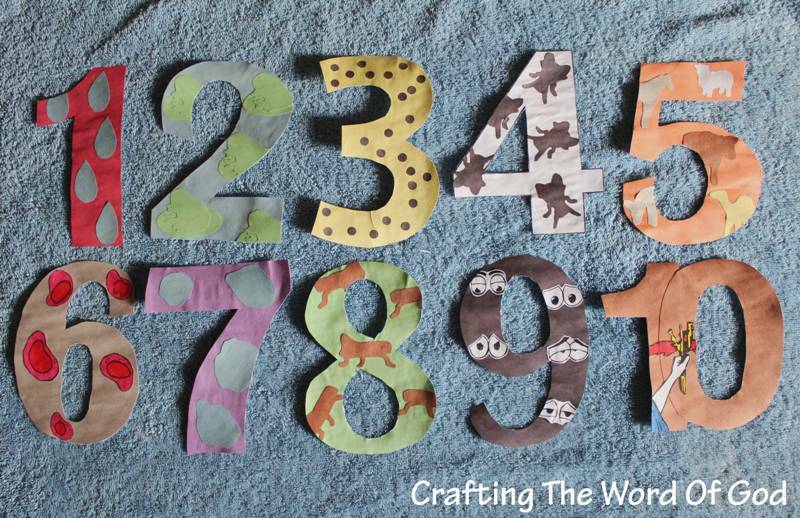 Cut off any overhang of construction paper from the numbers. Glue the numbers onto cardstock. Cut out the numbers. If you like you can leave a small white border around each number. This entry was posted in Bible Crafts, Moses, OT Crafts and tagged bible crafts, craft, crafts, Egypt, God, hardened heart, let my people go, Moses, numbers, Pharaoh, plague, stubborn, ten plagues. We can be very stubborn when we want to do things our way. Many times this happens when we are doing something wrong. This craft will help the kiddos remember to always listen to what God says and not be as stubborn as Balaam. And like Balaam’s donkey, to always speak up when it comes to standing up for God’s truth. Cut it out and glue it onto a piece on cardstock or construction paper. Glue on two large googly eyes and black string for the hair. Finally glue on a large craft stick for a handle. You can also use this craft for Jesus’ entry into Jerusalem or Mary and Joseph’s trip to Bethlehem. 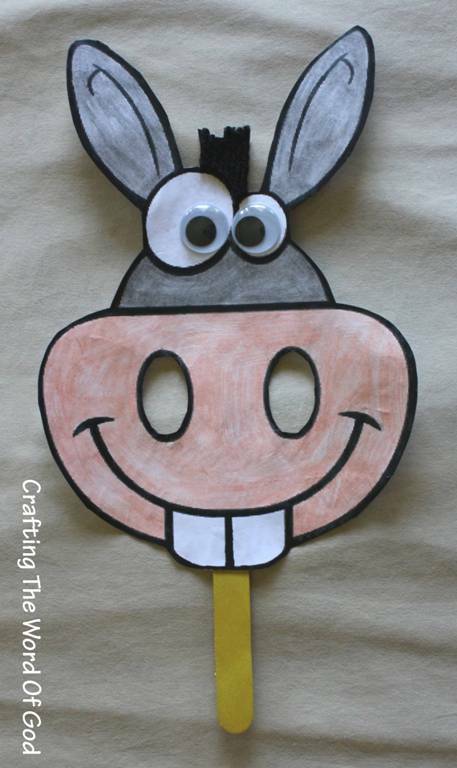 This entry was posted in Balaam, Bible Crafts, Birth, Easter, Holiday Crafts, Jesus, NT Crafts, OT Crafts and tagged Balaam, Bethlehem, bible crafts, craft, crafts, donkey, donkey mask, Jerusalem, Jesus, Joseph, Mary, mask, stubborn.